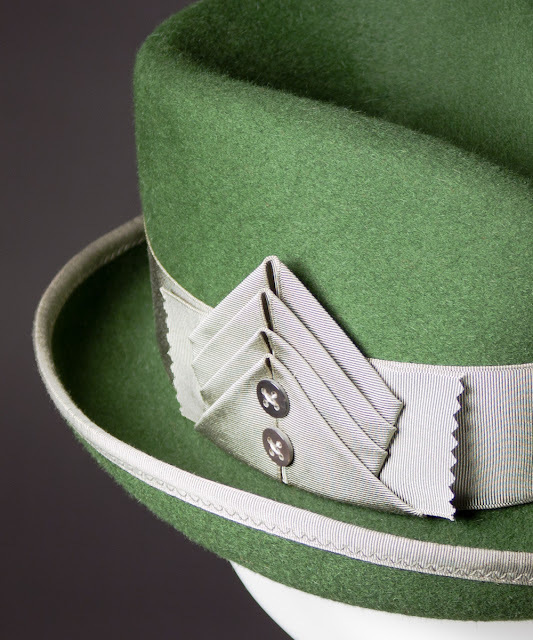 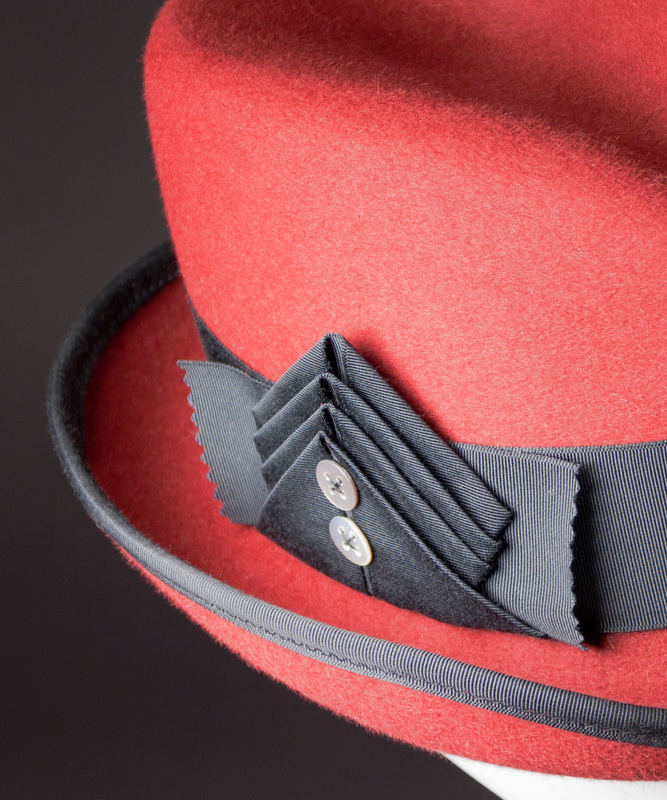 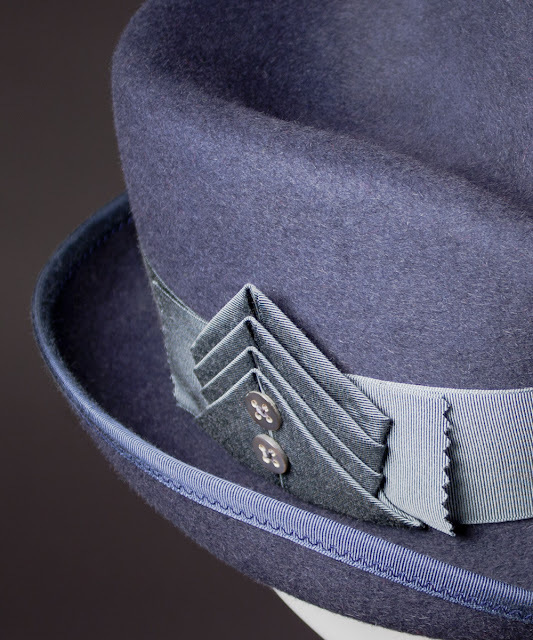 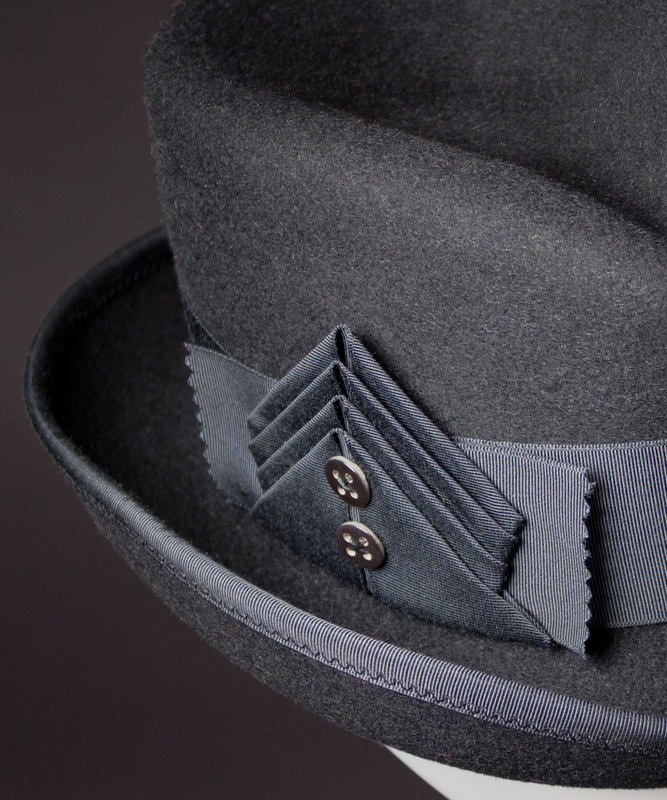 This just in: photos of the ribbon trim on my 'Drake' fedoras. 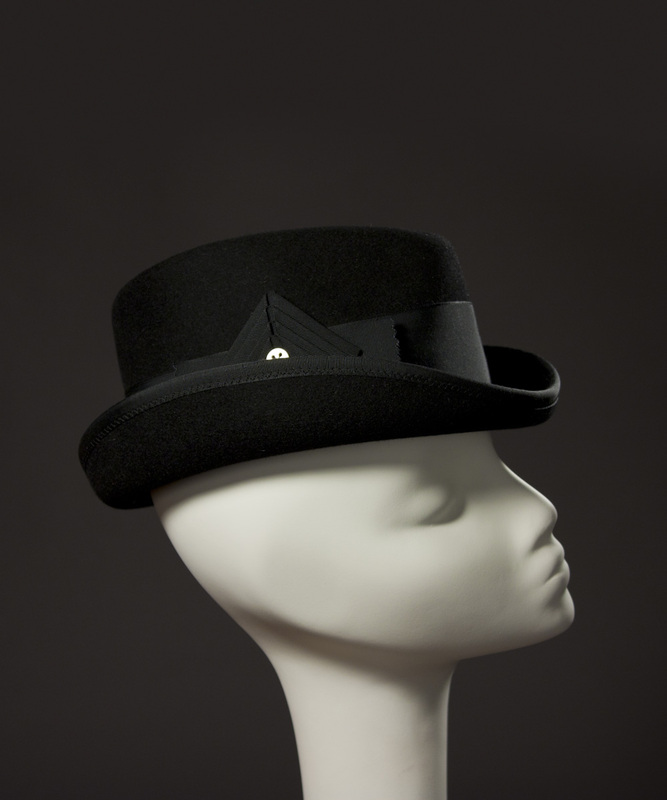 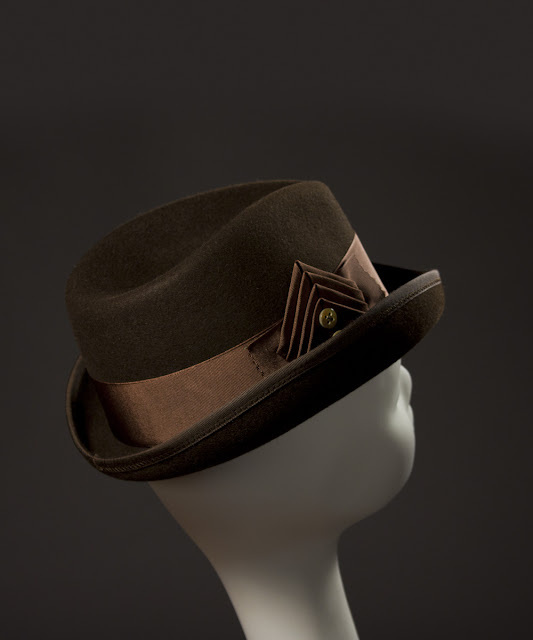 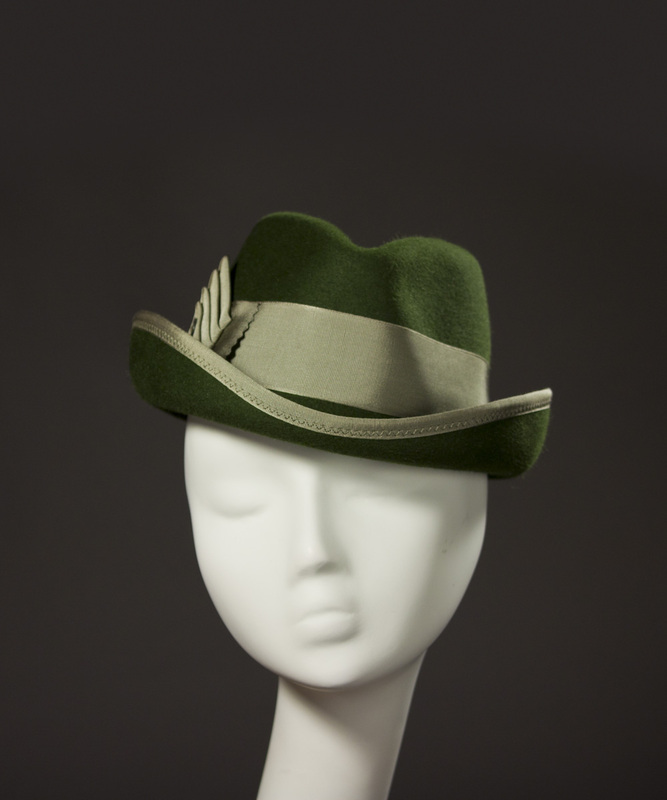 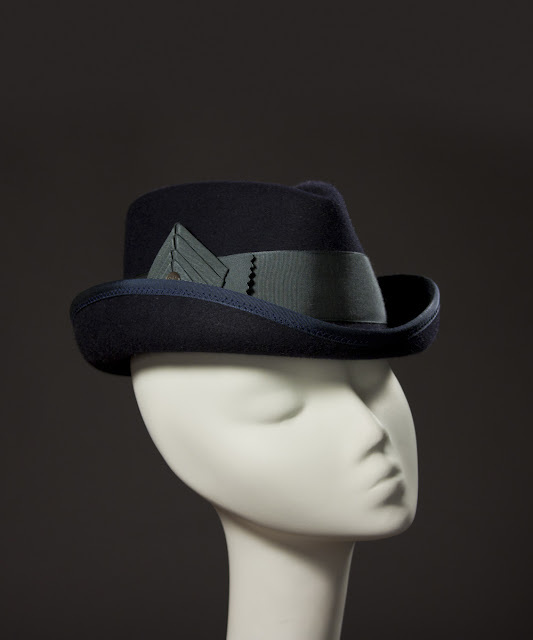 Several layers of triangle-folded and dagged ribbon are secured with vintage mother of pearl buttons. 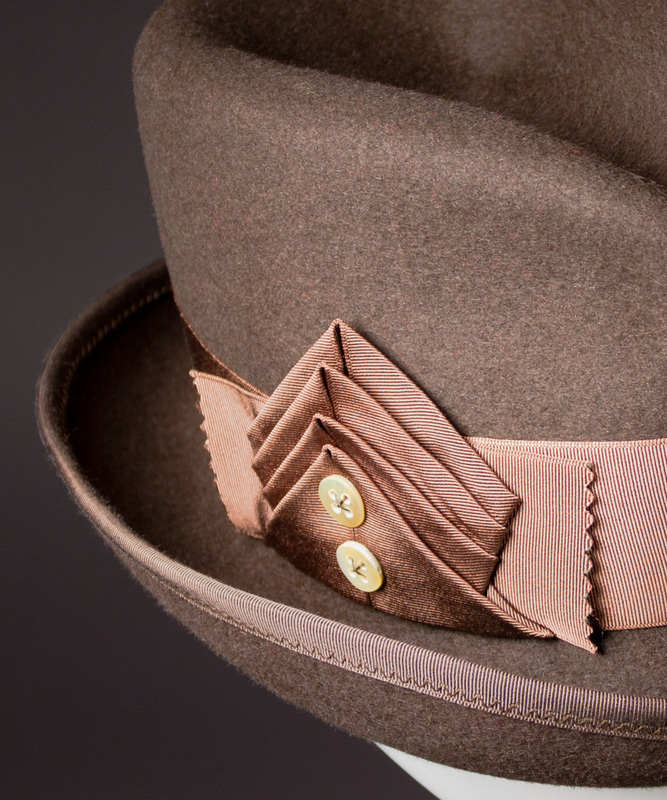 Shown here in five standard colors. 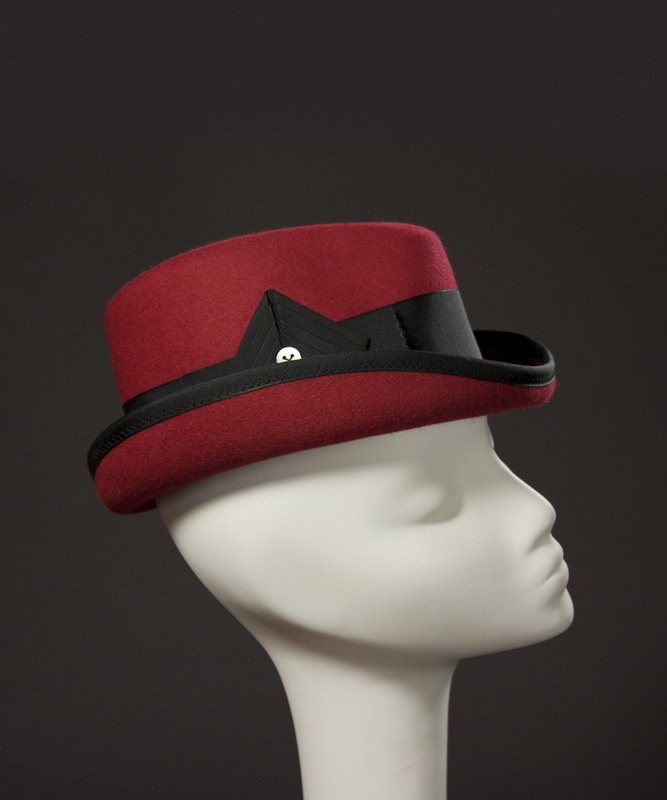 All of these color combinations are for sale now in my Etsy store. Custom colors available upon request.